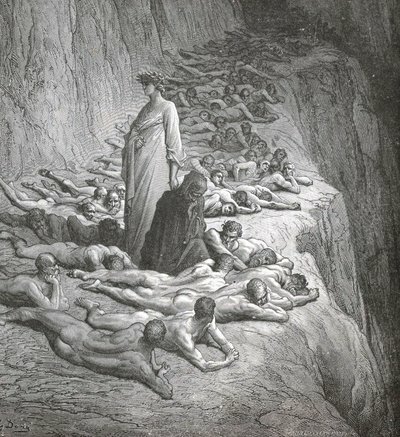 According to the Catholic Church, Purgatory is a place or condition of punishment for those who although possessed of grace are not entirely free from sin. As an atheist I never really thought that purgatory was something I would need to concern myself about until I became a quantitative researcher. As a someone whose PhD was once described as 385 pages of statistical tables and some text, I flatter myself that although not a statistician I can make SPSS do what I want it to do and I can understand the results it gives me. I can look at a mess of data, know what questions to ask it and comprehend the answer I come up with. I know when to use non-parametric tests and I can identify scenarios when only a parametric test will do. In other words like Michael Faraday, Gregor Mendel and Thomas Edison I am an amateur. However, being a keen amateur does not mean my quantitative activities are less accurate or appropriate than those of Charles Spearrman (a well known statistician although really a psychologist) or Jacob Cohen (another well known statistician who started life a psychologist). I'm not asking you to believe that the Haigh Test for statistical complexity is imminent, what I am asking is - why, when the stats tests I'm using are really, really simple am I constantly told I need to have a statistician on my research team!?! It's annoying for me as someone who can do simple stats such as cross tabs and ANOVAs (even, dare I say it, some multivariate regression) and it must be bloody annoying for statisticians who have studied for 3 years or more to be constantly asked to advise on what, for them, is the statistical equivalent of learning to use a spoon. So, here I sit, in statistical purgatory - in a state of grace because I understand what 'p' values are for but full of sin because I don't have a stats degree. The only good thing is...there are loads of us here. I so get your frustration. In 2006, I did a training course in quantitative analysis and for the required essay I did qualitative investigations and from that designed two types of questionnaires and went out to distribute them. Got the data and then processed it. The people marking the essays said they couldn't mark mine properly because they were only able to mark people's essays on designing and questionnaire or analysing their exampled results - not creating and analysing original data which I did! Then, in my own time, I designed 6 questionnaires for different transgendered identities and they were hosted on a website with a good international website. When they were closed after 3 1/2 years they'd gathered 1340 results with information that is unique. Some of that data is in my recently completed PhD. Part of it has been assessed and welcomed by Government 'Home Office' representatives. loving the blog, especially the title, and the comment at the end about having lots of other people to be in purgatory with is genius, pleased to be there with you.